user warning: Expression #1 of ORDER BY clause is not in SELECT list, references column 'hotkilns_live.n.created' which is not in SELECT list; this is incompatible with DISTINCT query: SELECT DISTINCT n.nid, n.vid, n.title FROM content_field_videos_features nr INNER JOIN node n ON n.vid = nr.vid AND n.status = 1 INNER JOIN node_access na ON na.nid = n.nid WHERE (na.grant_view >= 1 AND ((na.gid = 0 AND na.realm = 'all') OR (na.gid = 0 AND na.realm = 'content_access_author') OR (na.gid = 1 AND na.realm = 'content_access_rid'))) AND ( nr.field_videos_features_nid = 1043 )ORDER BY n.created DESC in /home/hotkilns/public_html/sites/all/modules/nodereferrer/nodereferrer.module on line 428. Is this your kiln now with broken Bricks and Sagging Elements? 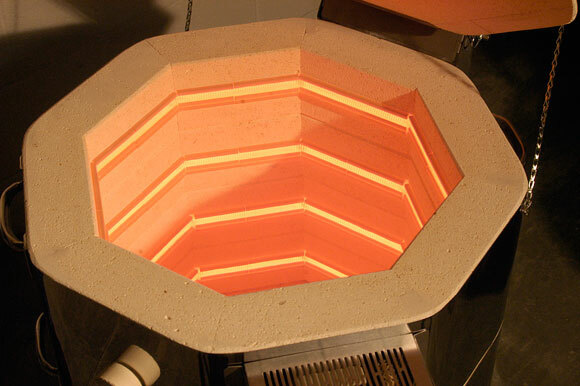 A typical non-L&L kiln without hard ceramic element holders showing how the brick breaks and elements sag from from constant loading and wear. 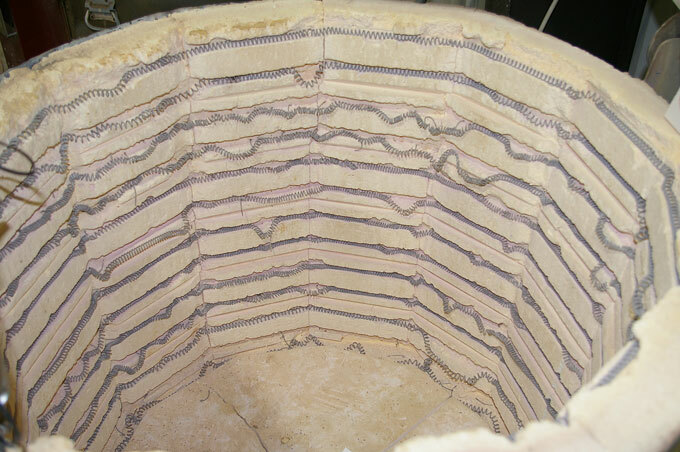 The inside of an e23T-3 L&L Easy-Fire Kiln. 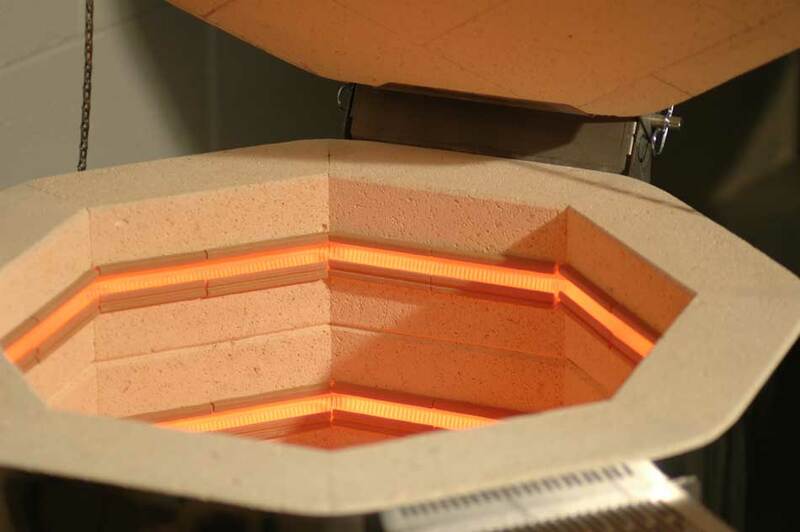 Customers often say their L&L kilns look new after 30 years of hard use! How hard are you going to use the kiln? 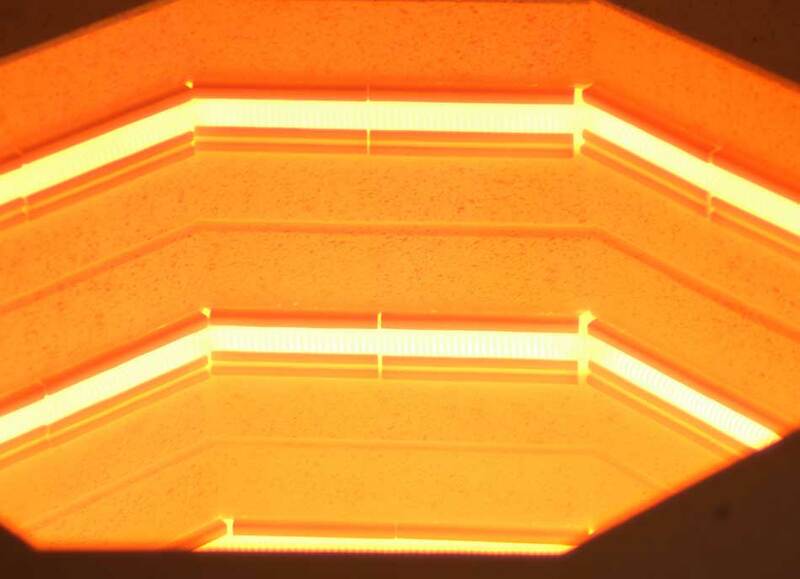 If you are a school, an institution, a factory or a serious artist who depends on your kiln for a living, then you should seriously invest in the most trouble-free kiln you can buy. 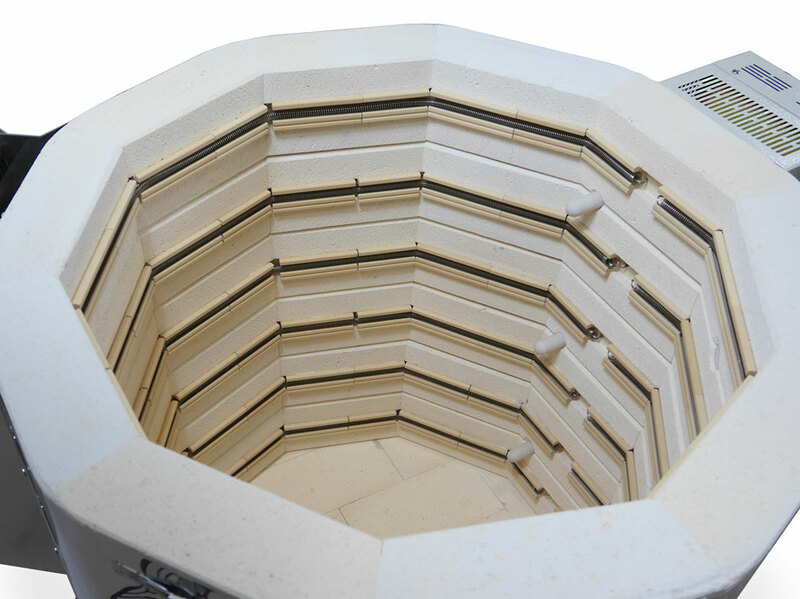 Even if you are hobbyist why not get the best kiln made? Although the exact cost of maintenance savings is hard to calculate - it can add up to major savings in time and money. 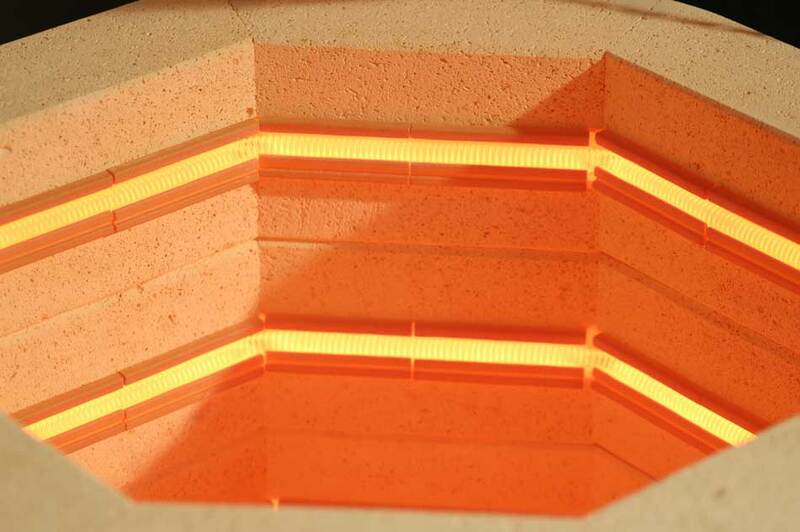 Most electric kilns have grooves routed in the firebrick for the elements to lay in. The elements are often pinned in for further support. 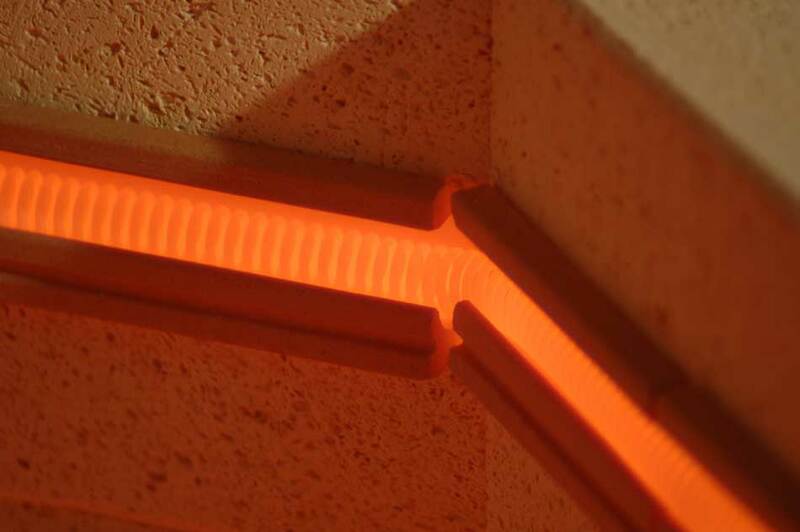 The firebrick "wall" that supports the element also insulates the heat of the element from the kiln (creating energy efficiency problems and element life problems). 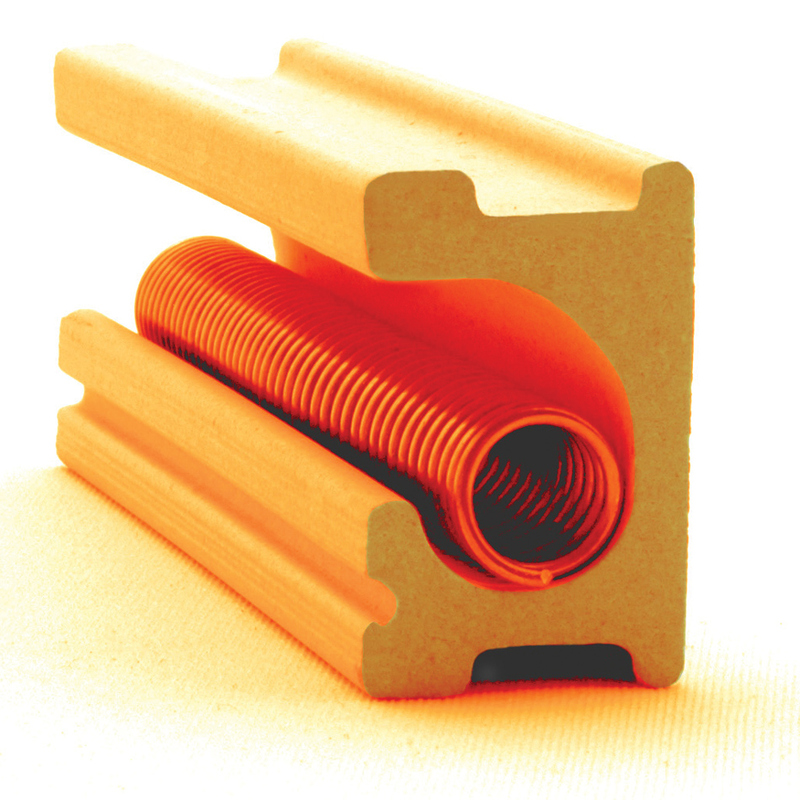 After one or two element changes the fragile firebrick starts to fall apart and pins become the primary element support. It only takes one accidental bump with a kiln shelf to permanently damage a kiln around the element groove. What is Wrong with Using Metal Pins to Hold in the Elements? Pins can actually make the problem worse because as they expand and contract (at a different rate than the brick) the pins fracture the firebrick more. How do you know before you start how many you are going to need? It is very difficult to find places to put the pins, as the firebrick is so deteriorated and crumbling. Crimped terminals are a pain to install and, as the wires have to keep getting cut back, the wires get too short.